Check out these nine swoon-worthy industrial wedding venues in New York and start booking yours! They go fast! 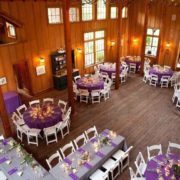 You have a tentative date and guest count and it’s time to look for the perfect space for your wedding. Break the mold from the traditional hotel wedding venue and choose a unique space with a story to tell and a cool and intimate vibe. We’ve rounded up nine industrial wedding venues in New York that will make your guests’ jaws drop as they celebrate your happily ever after. From Brooklyn to Queens to Upstate New York, any of these spaces are sure to provide the flexibility of color, personality and decor any modern couple looks for on this day and age. 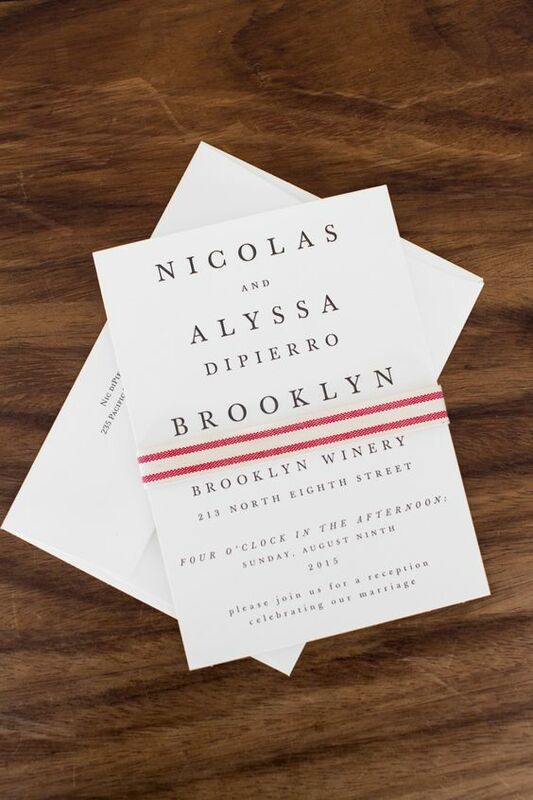 Brooklyn happens to be “the” place in New York where you will find most of the industrial wedding venues. The number of refurbished spaces that started out as foundries, piers, steel factories and other manufacturers gave way through its gentrification to some of the most breathtakingly unique industrial wedding venues in New York. 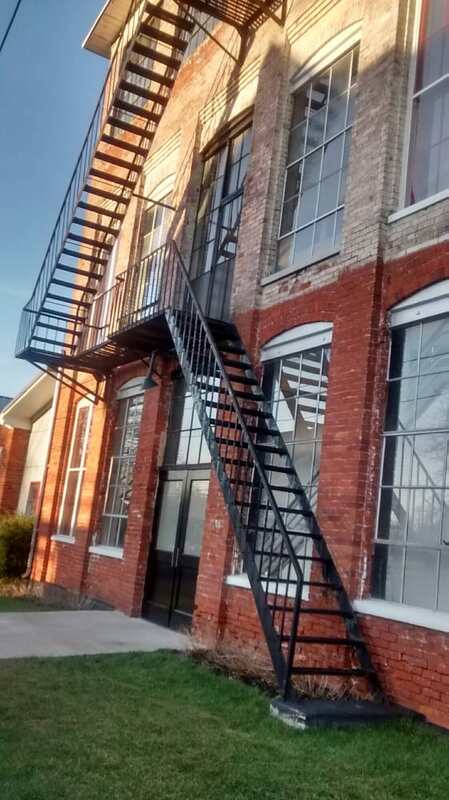 The Green Building was built in 1889 as a brass foundry. Today it serves as 6,000 square foot event venue with indoor and outdoor space. 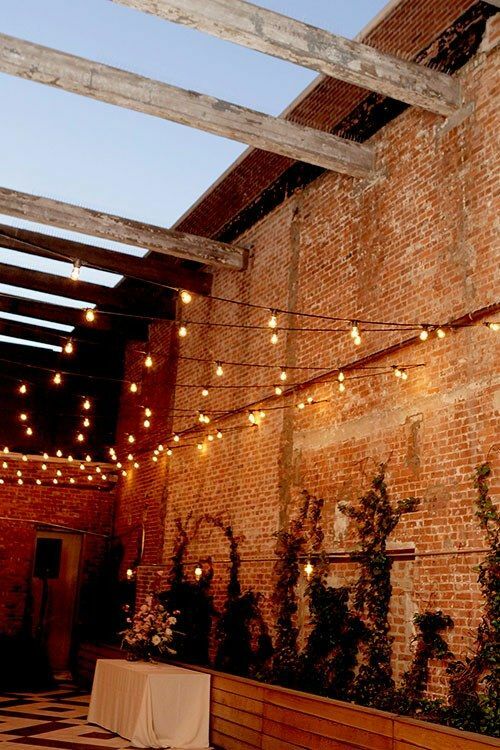 This building will compliment wedding décor with exposed brick walls, chandeliers, wood-beamed ceilings and a private courtyard. 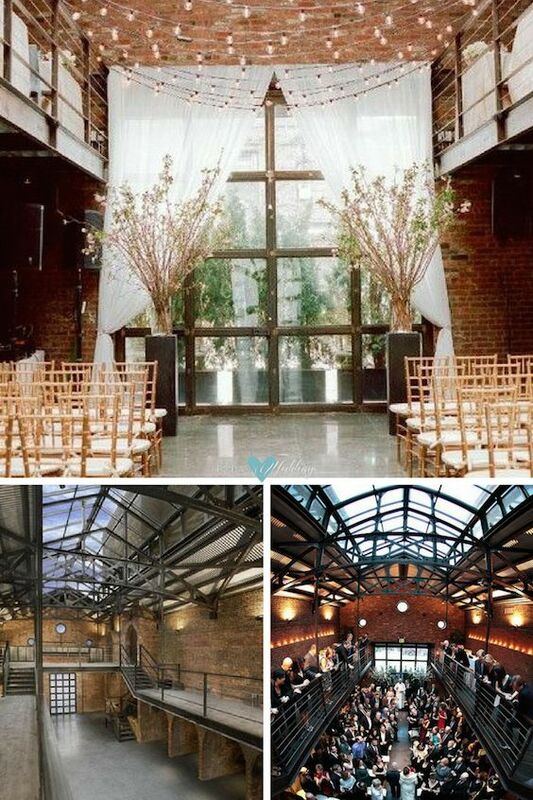 Industrial wedding venues in Brooklyn that will take your breath away The Green Building, Brooklyn, NY. Photos by Matt of Our Labor of Love. 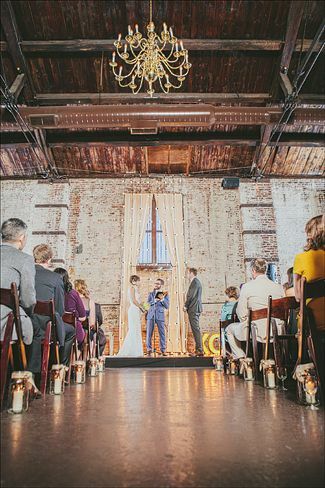 New York City wedding at The Green Building in Brooklyn built in 1889 as a brass foundry. 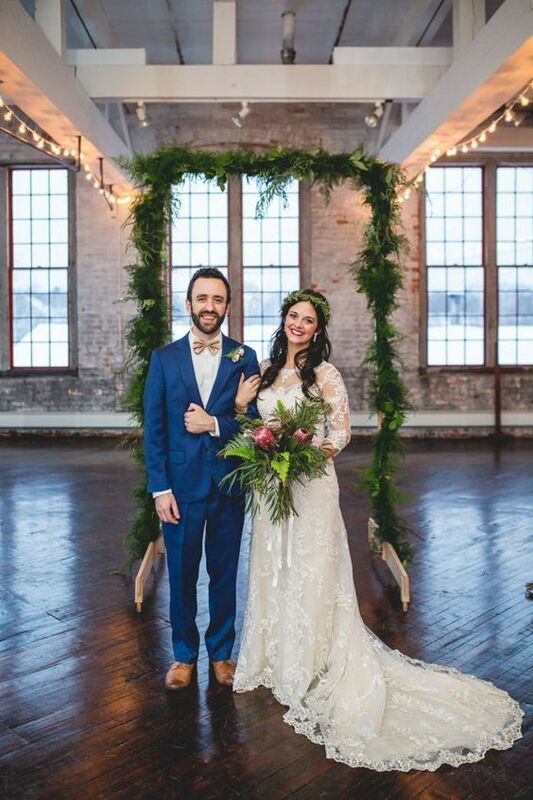 Modern winter wedding ceremony at the Brooklyn Winery. Photography: Ashley Caroline. 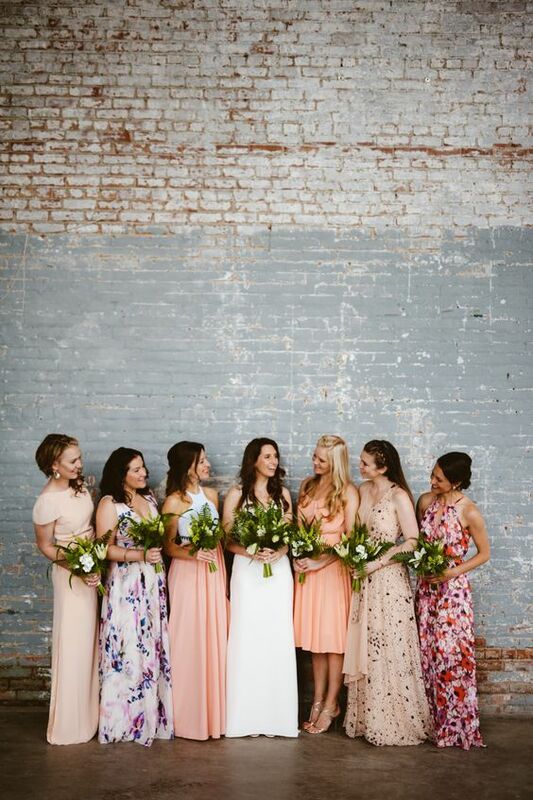 Beauty and old world charm at this industrial style Brooklyn Winery wedding. 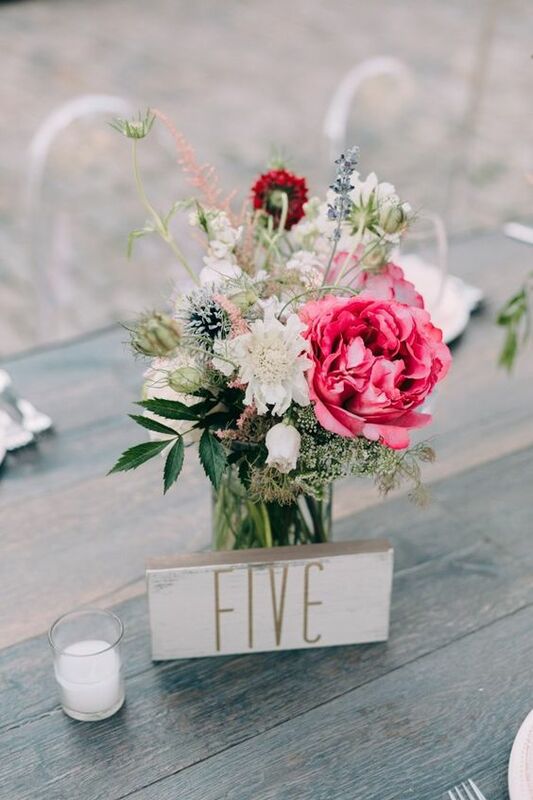 Love this table setting! 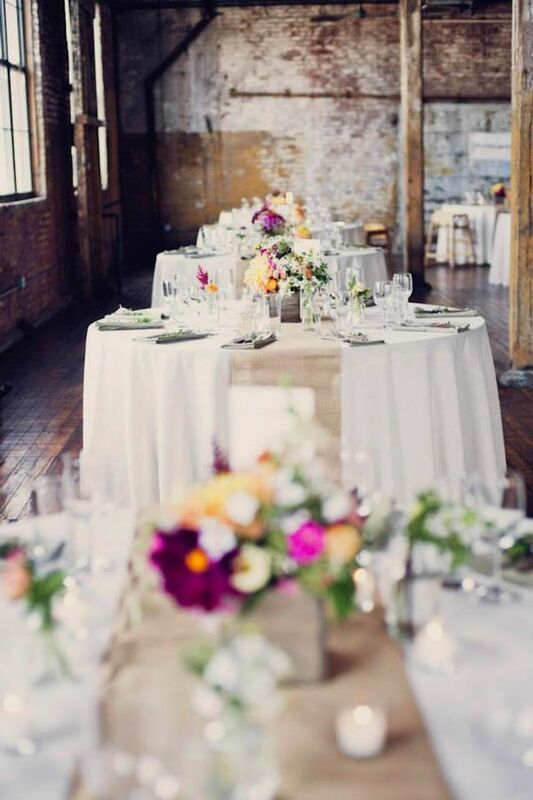 Industrial wedding venues in New York. Photo of the Brooklyn Winery, Brooklyn, New York. 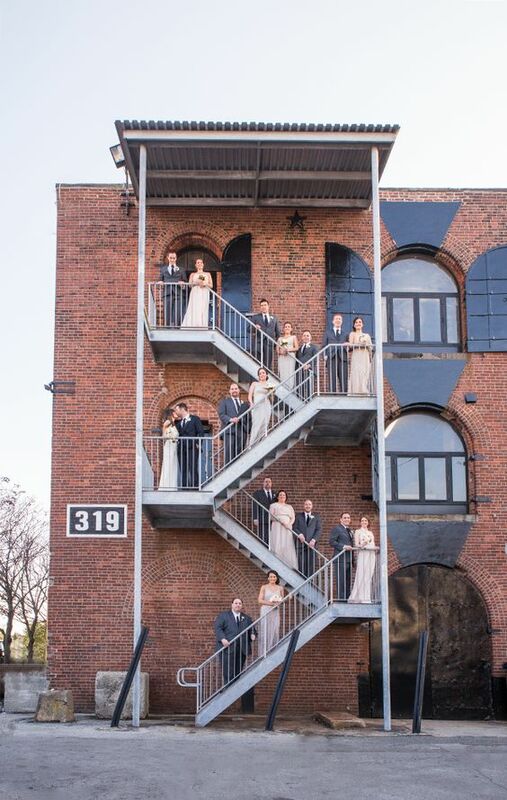 Give your wedding an early 1900s feel at the Wythe Hotel. If the exposed brick, steel window frames, and wood floors don’t make and impression, then the terraces overlooking Manhattan surely will. 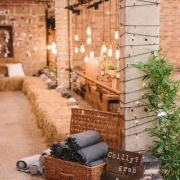 This venue is perfect for small weddings or those with up to 250 guests. 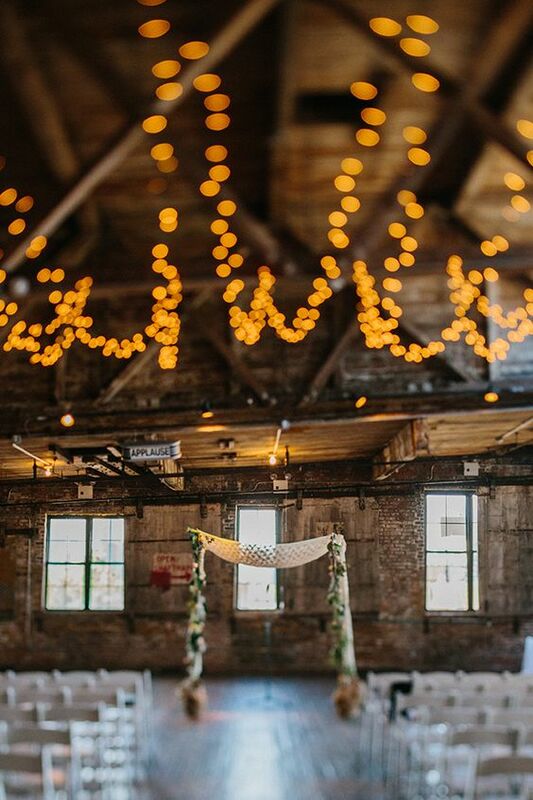 Wythe Hotel in Brooklyn: This venue is perfect for small weddings or those with up to 250 guests. Photography: Belathée Photography. A garden-inspired industrial wedding in New York at The Wythe’s patio, complete with exposed beams and strings of café lights. 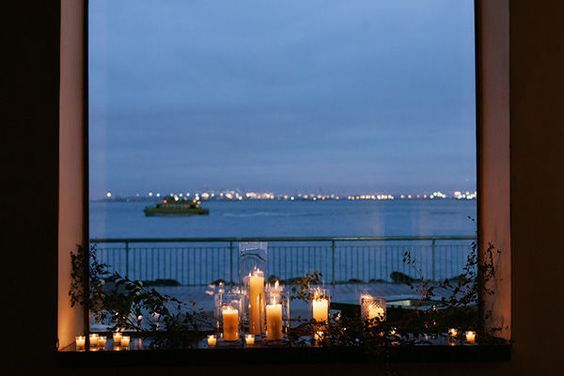 Host your wedding with Statue of Liberty, Verrazano Bridge and riverfront views at the Liberty Warehouse in Brooklyn. Ceremonies can be held indoor or outdoor. 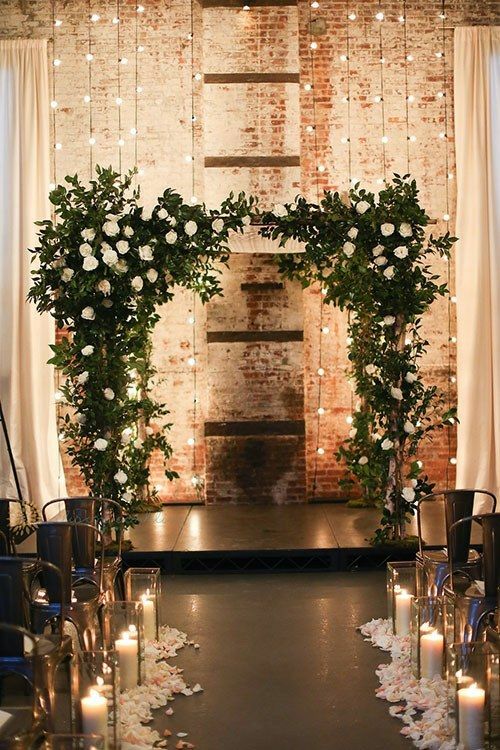 Sure, exposed brick is nice but your guests will be left with an unforgettable night as the dance floor is illuminated with light reflecting from the Hudson. This venue is better suited for larger events as they have a 175 guest minimum on Saturday nights. A waterfront view to die for at The Liberty Warehouse. Nine industrial wedding venues in New York that will take your breath away. 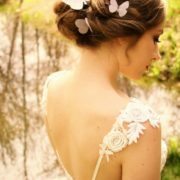 Photography: Levi Stolove Photography, NY wedding photographers. 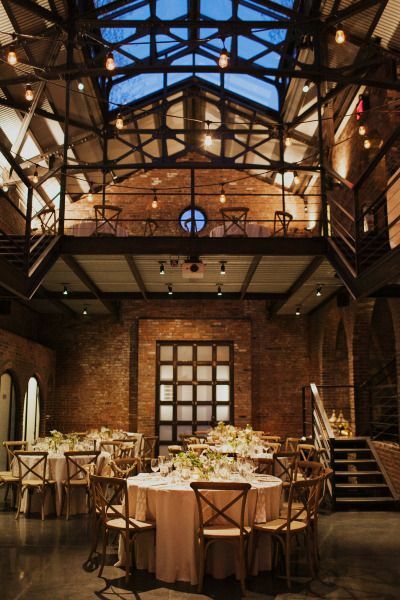 The liberty warehouse is a unique industrial wedding venue in Brooklyn, NY. Don’t you agree? 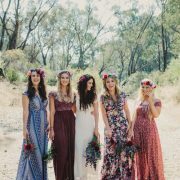 Photography: a guy + a girl photography – New York wedding photography – Los Angeles wedding photography. Greenpoint Loft is a pre-war rope warehouse turned chic event space. Let history intertwine with your wedding day as you experience the building’s timelessly effervescent vibes. This space also has rooftop views of the Manhattan Skyline which are sure to leave your guests speechless. Greenpoint Loft industrial inspo tablesetting. Swoon! 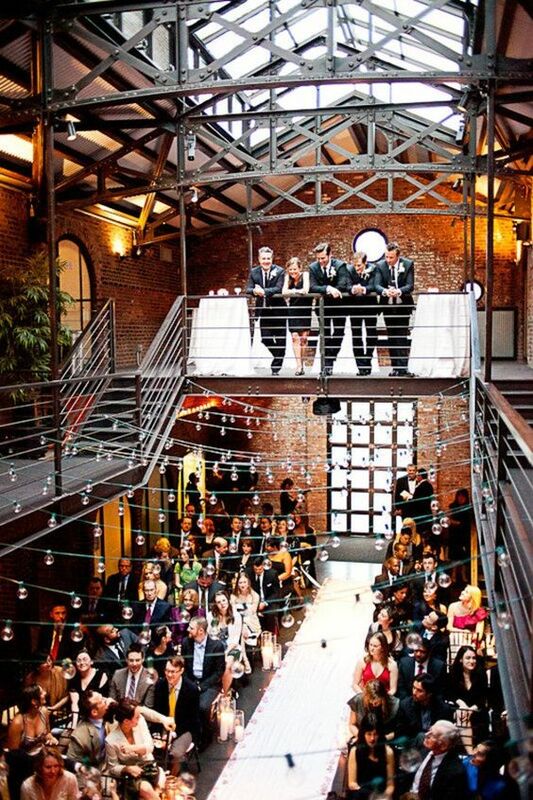 The Greenpoint Loft is one of the best industrial wedding venues in New York. According to USA Today, Queens is the most ethnically diverse urban area in the world. This means, you will be able to find the most varied caterers for your special day within a few miles-range. 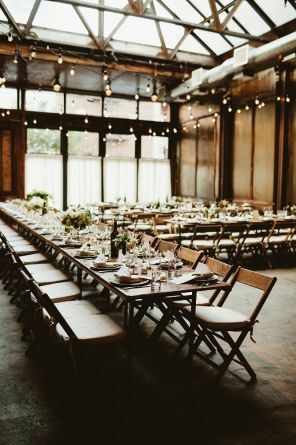 Exposed brick, metal and geometric patterns are some of the characteristics of industrial wedding venues, Let’s explore a couple of venues in Queens, NY that definitely caught our eye! For a funky, artsy vibe look no further than the Knockdown Center in Queens, NY. 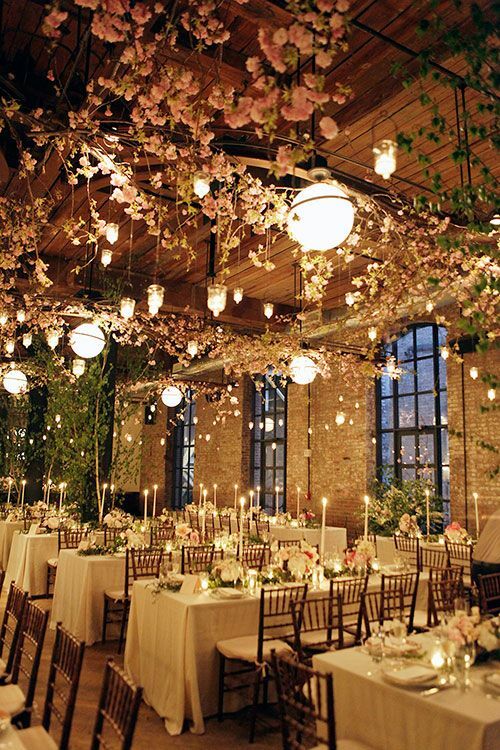 Brooklyn is not the only place that can offer an unforgettable venue. The Knockdown Center is known for hosting music and art events but don’t write them off for weddings. 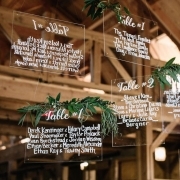 Their century=old building used to host a glass factory and, years later, a door factory (hence its name) Book this venue for its 40-foot ceilings, their built-in archway made of brick, wood and steel and its eclectic vibe. 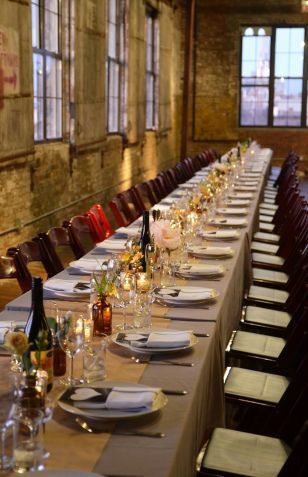 Industrial wedding venues in New York: Knockdown Center. Photography: Carolina Sandretto and Denueva Photo. Out of all of the fabulous industrial wedding venues in New York we fell in love with the Knockdown Center, an industrial glass factory. The Foundry is the place to go if you want a Brooklyn-vibe in Queens. 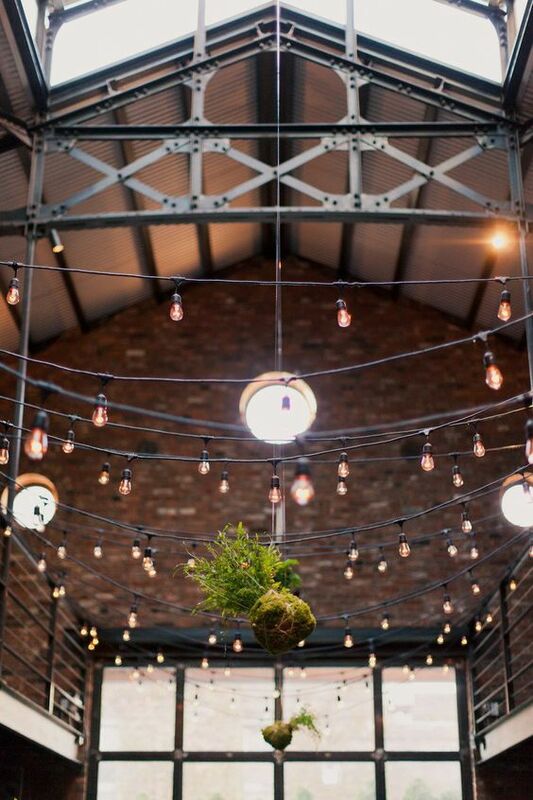 Exposed brick, steel beams, and antique bulbs will add charm to your wedding day. Needless to say, the gorgeous view of the Manhattan skyline will add to its charm and it will allow for some amazing photo-ops. The best part of the building might be the Greenhouse, where vines climb the brick and window panes fill the space with natural light. 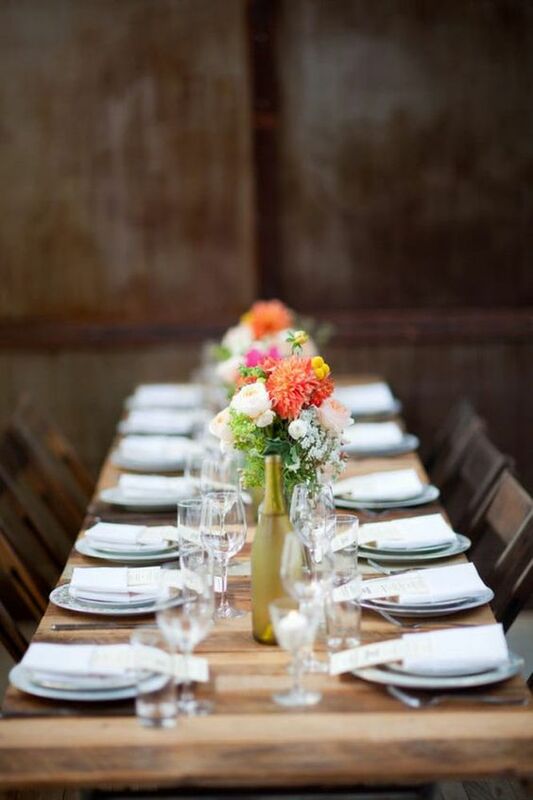 If you are looking for a smaller space to host an intimate wedding, ask for The Albra Room. You will fall in love with its arched walkways and clean lines. Check out the outdoor area. It’s truly magnificent! The Foundry is the place to go if you want a Brooklyn-vibe in Queens. The Foundry is a 19th Century building that has been meticulously restored to showcase its industrial character and stunning proportions. Photography: Pink. 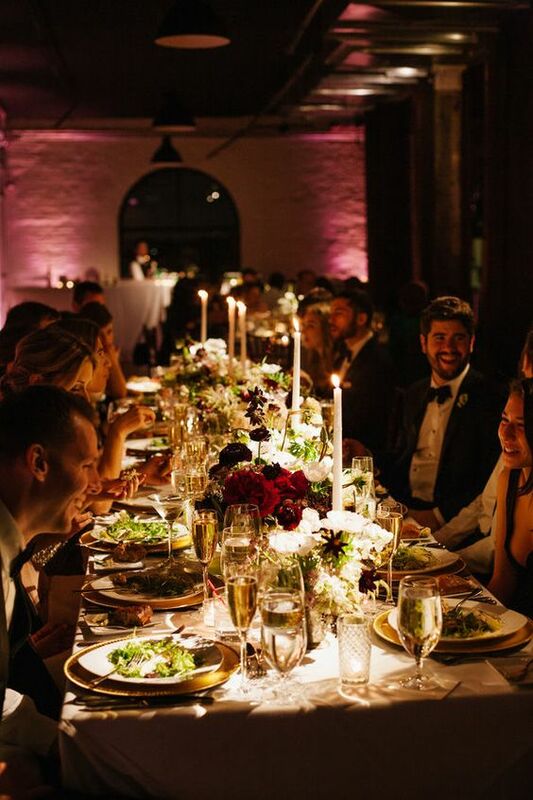 If you prefer the calm of the countryside mixed in with Brooklyn’s multifaceted and diverse atmosphere, these industrial wedding venues in New York are a must-see. Add them to your list because you may not want to miss out on these spaces! If you are heading upstate for your big day, consider The Cracker Factory. You will be awe-struck by the floor-to-ceiling windows. They will allow you to feel you are outdoors even if it’s a bit too cold for that kind of thing. To say this straight-razor factory turned wedding venue has charm is an understatement. 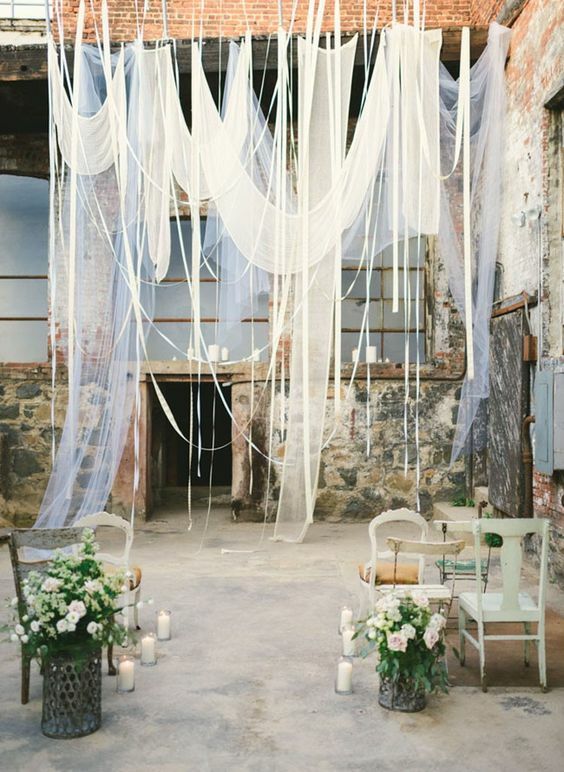 Charming industrial wedding venues in Upstate New York. The Cracker Factory. Digging all these chic industrial vibes. Photo: Ebersole Photography. Located in the history city of Hudson, Basilica Hudson is a reclaimed industrial space originally built in the 1880s. When renting the Basilica, you get access to the building and grounds for the entire weekend, from Noon Friday to Noon Sunday. The space draws on inspiration from its local surroundings with a mission to be a platform for unconventional art experiences. Especially for larger events, this space will leave a remarkable impression, one that your guests will not soon forget. We promise to cover more about this magical venue on an upcoming article. Basilica Hudson an idyllic industrial wedding venue in Upstate New York. Photography: James Autery, New York photographer. The industrial feel of the building shows on its exposed brick walls, an incredible old steel truss system and a massive terracotta ceiling. Modern industrial New York Wedding at Basilica Hudson. Simple and modern industrial wedding invitation. 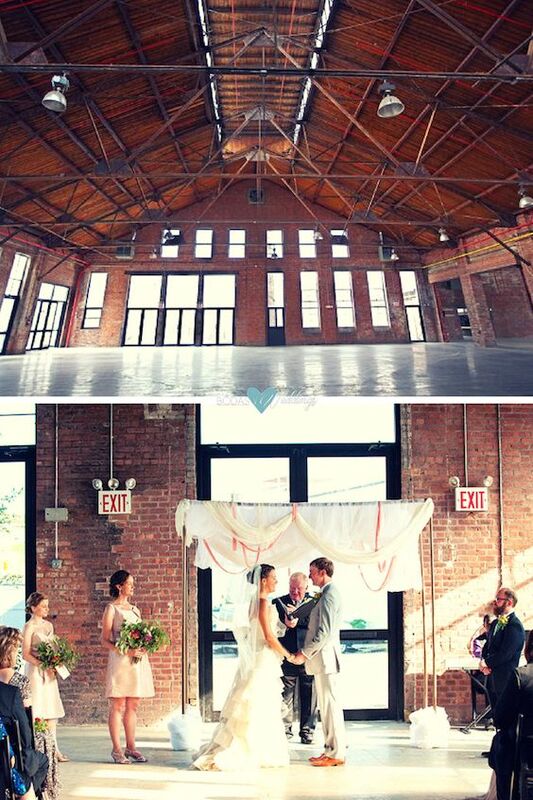 Industrial wedding venue in New York, the Greenpoint Loft. 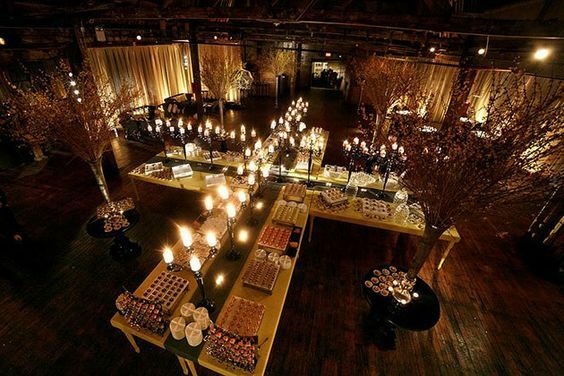 Candlelit wedding reception Liberty Warehouse. 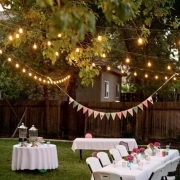 Are you still looking for the perfect space for your perfect day? 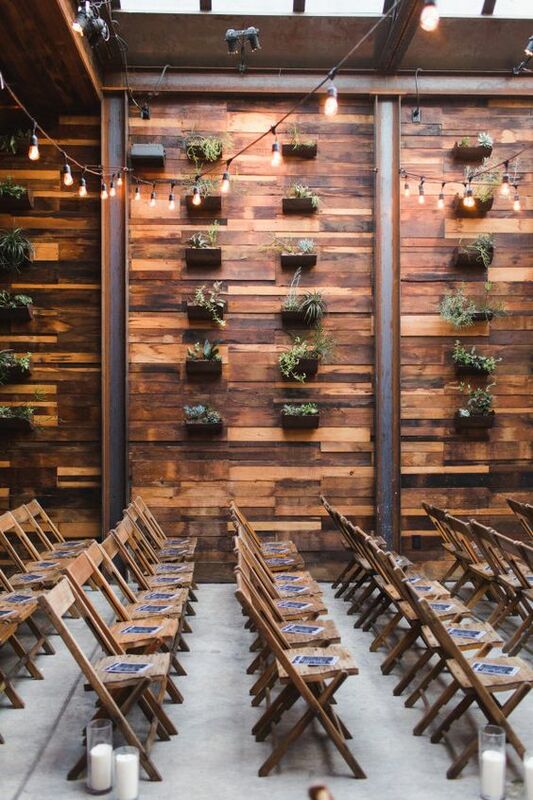 Or did our nine must-see industrial wedding venues in New York fill up your list? Check out these nine swoon-worthy industrial wedding venues in New York and start booking yours! They go fast! The Foundry. Photography: Christina Szczupak. 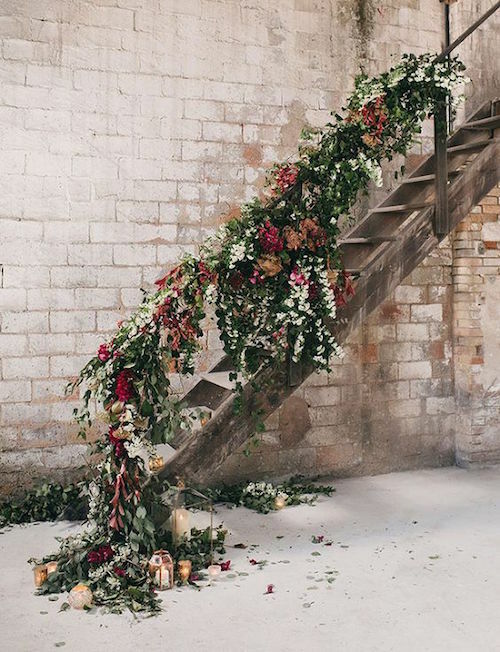 Floral garland and candle lanterns down the stairs of a modern industrial fall wedding. Photo: Albert Bardina Photography.